In 2018, 77% of Americans own a smartphone. Over 230 million U.S. consumers use a smartphone. And in the last 6 months 79% of smartphone users bought something online with their smartphone. Businesses cannot just have a website, now they have to optimize their brand with mobile web design in mind. Design & Promote is up to date on current trends in optimizing websites for mobile, and we bring that expertise to Bolingbrook. As a local business ourselves we can empathize on how overwhelming mobile marketing can be, and keeping up to date on an ever changing mobile web design landscape. Our team will integrate mobile web design into your web pages, creating responsive mobile screens and that your brand is available regardless of mobile network or brand. Call us today at 630-995-7109 or complete the form on this page for more information. 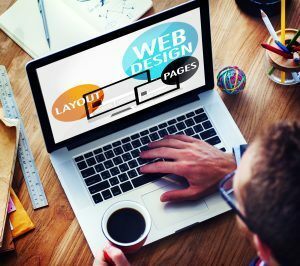 Our web design team will work with you on the proper representation of your website, and keep you updated on progress. We will rigorously test all the changes we make to ensure a proper functioning web page across all the major screen sizes, whether it’s a mobile phone or tablet. Design & Promote will get started on making your brand contemporary and usable for shoppers on the go. The web designers at Design & Promote have years of experience making designs across multiple industries. Your brand and marketing message will be broadcast effectively for potential customers, and we will be on hand to support you after the mobile site is rolled out. We work to customize your site to your needs and business. This ensures your site has a unique look compared to other websites, and you will stand alone and above the competition. Call us at 630-995-7109 for more information on our web design approach and how we may help you.